A serviced apartment is a furnished apartment that is available for short-term or long-term stays. More often than not, serviced apartments are a cheaper alternative than hotel rooms plus they come with the added bonus of more space and privacy. For this reason, interest in serviced apartments is growing steadily. 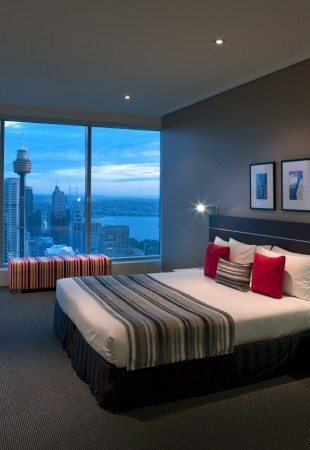 There are several types of serviced apartments available, with the most common being the extended stay hotel, sometimes known as an ‘aparthotel’. Extended stay hotels tend to have great locations in the heart of a city and come equipped with a kitchen and laundry facilities. The size of apartments vary, with studio apartments through to four bedroom apartments being a popular choice. Most two and three bedroom apartments come equipped with a second bathroom and, unlike a hotel room, apartments come with a separate living area. The idea is to offer a ‘home away from home’ feel, but still keep the conveniences that come with a hotel. Generally, most extended stay hotels don’t come with a restaurant or bar, however guests are equipped with a kitchen where they can prepare meals. On some occasions, an extended stay hotel could be linked with a next door or nearby hotel, where guests will find a range of available services at no extra charge. The second type of serviced apartment is known as corporate housing. These make use of residential properties that have been upgraded with the specific purpose of short term rentals. Corporate housing generally comes with the added bonus of cleaning services when staying more than 30 days. Corporate housing tends to be located on the outskirts of the city centre, within easy access to main business areas. The abundant space that comes with both types of accommodation, plus the ability to prepare meals and launder on-site, make for a comfortable stay when travelling. Your serviced apartment should include the high-quality finishes you would expect from a hotel, plus come equipped with high definition TVs, broadband connections and good quality furnishings. On top of this, your serviced apartment should include the basics that make a home a home – eg. kitchen, washing machine and dryer. While you could expect to pay more for these services, you should in fact find you are paying 30% less than at a hotel, as there are reduced overheads involved. Further savings are made with the aid of a kitchen, reducing the need for guests to eat out for breakfast, lunch and dinner. Booking your serviced apartment should be quick, convenient and easy to do online. During your stay, you should also find an on-site reception and 24 hour onsite management, as well as optional housekeeping services.